Ready At Dawn’s new space-adventure VR game Lone Echo, available on the Oculus Rift, takes place on the Kronos II mining station that’s orbiting Saturn. The ship’s human captain Olivia Rhodes relies on her ECHO ONE service droid named “Jack” to help her face increasingly perplexing challenges that threaten the station’s functionality and habitability. Alone in space, her only lifeline is the technology that surrounds her. In single-player mode, the player controls Jack the android and the game controls Olivia the human. “So you are a human playing an android and you are interacting with a human character in the game who is actually controlled by the computer. The relationship between technology and the human existence was the whole concept behind not only the story of the game, but also the arc and meaning and soundscapes that you hear in the music,” says award-winning composer Jason Graves. 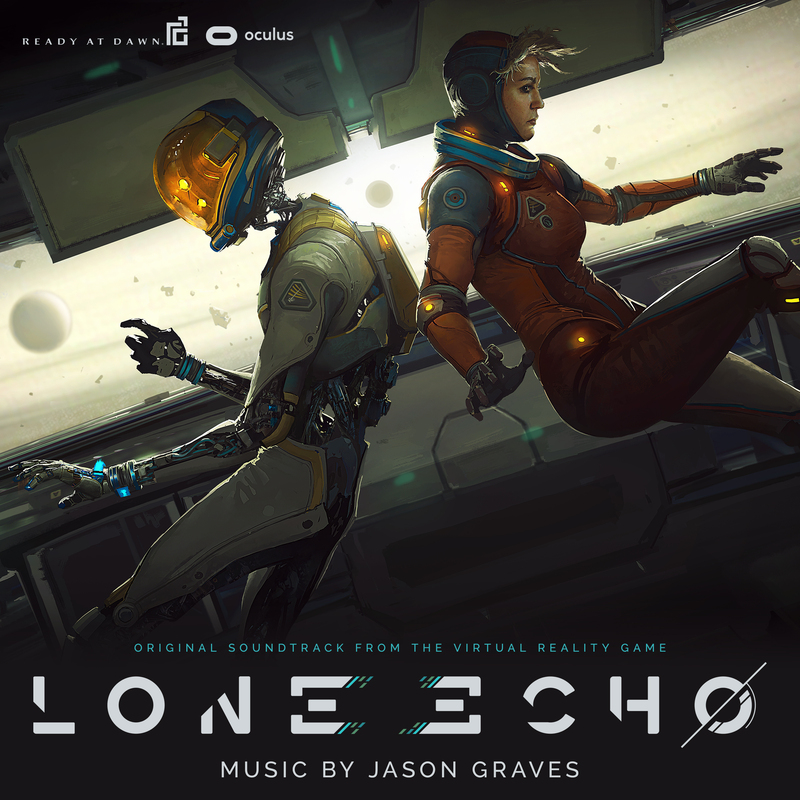 Graves’ score for Lone Echo is purposefully minimal and wholly electronic, save for the solo female vocals performed by singer Malukah. 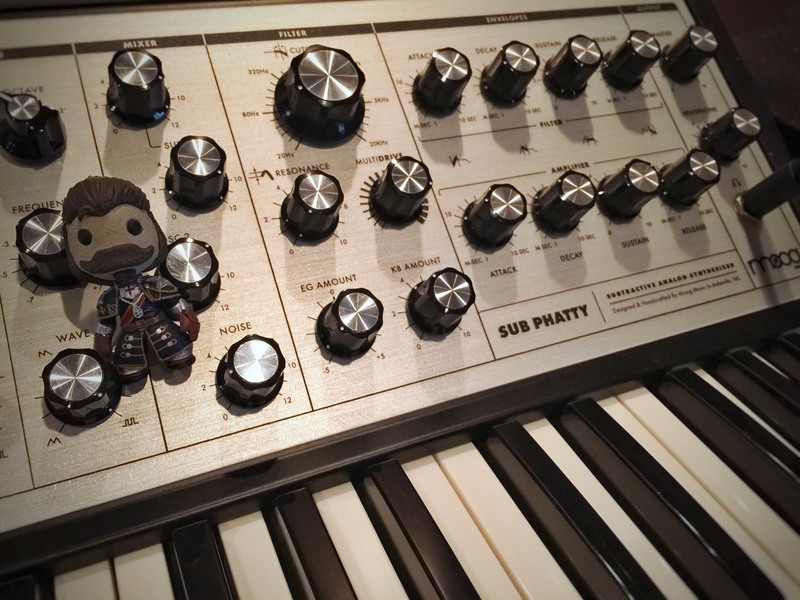 It’s the sonic opposite of his composition for Ready At Dawn’s previous release The Order: 1886, which featured a live orchestra and 24-voice men’s choir recorded at the legendary Abbey Road. 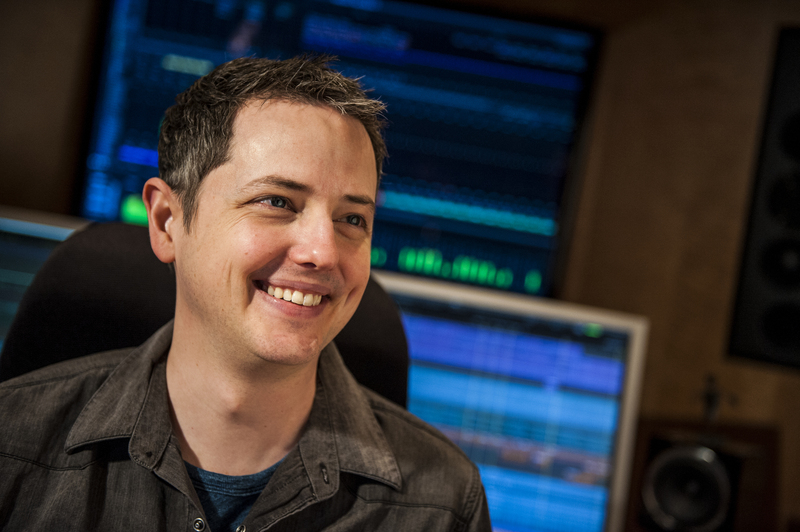 His approach to scoring Lone Echo is reflective of the game on several levels. For starters, to signify the human-technology interaction in Lone Echo, Graves weaves a human vocal element (Malukah’s performance) into an entirely electronic score. “It’s very much reminiscent of the story where the female astronaut is out in space and the only reason she can be there is because she has all of this technology, these other robots, and her spaceship around her supporting her,” says Graves. In the opening track “Welcome To Kronos II,” Graves begins with Malukah’s solo vocals. At first, the melody sounds a little disconnected, with no obvious sense of tempo or tonal center. “She is singing some diminished chords and the notes aren’t really feeling like they’re part of anything. Then she sings it again and all of the synthesizers come in and support her. Now you get this very strong sense of rhythm, motion, and direction. You realize that she is singing certain notes of the chord and it feels a little spacey, a little drifting, but a lot more cemented in some sort of world because of all of the synthesizers,” says Graves. Elsewhere in the score, Graves uses pads that he created by manipulating Malukah’s vocals. In Steinberg’s Cubase, he chopped her vocals into samples that he processed and played via a Roland Fantom-G8 keyboard. So, appropriately, Graves is a human using technology to interact with technology’s representation of a human, i.e. the digital recordings of Malukah’s voice. Graves points out another parallel between the score and the game. “Whenever Malukah sings a phrase, there is a single repeat of the last couple of notes that she sang. Her melody has this repeat that happens at the end of each phrase. To me, that is a literal musical interpretation of a ‘lone echo.’ There is literally a single echo of the melody she sings,” he says. He did further creative exploration by running those sounds through outboard pedals, particularly those from Moog’s series of pedals called Moogerfoogers. “I have one called a MIDI MuRF for sequenced filter effects. Plus the MF-101 Lowpass Filter pedal, and the Minifooger Analog Delay pedal with the Bucket Brigade chip that they don’t make anymore. There’s also the Waldorf 2-Pole Analog filter that has programmable cutoffs,” says Graves. That was the genesis of the soundscape elements. 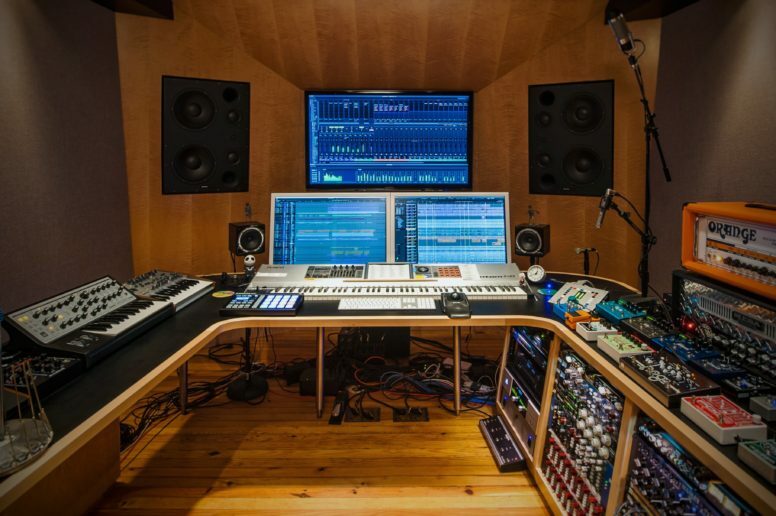 In addition, Graves did employ a few software synths, “but those are emulations of big, ridiculously expensive synthesizers that no one can really afford to keep anymore,” he notes. The minimal approach to Lone Echo gives the score a floating feeling. There’s room for long reverb tails, echo, and delay effects to drift out into the track and disappear. Graves, typically a user of Bricasti reverbs, chose instead to use Universal Audio for his reverb needs. “I have four Bricasti reverbs but I needed more than four and I wanted to be able to use the same eight instances of the same reverb and just have a variance for them. I ended up using UAD and it really was amazing sounding. I was very impressed,” he says. 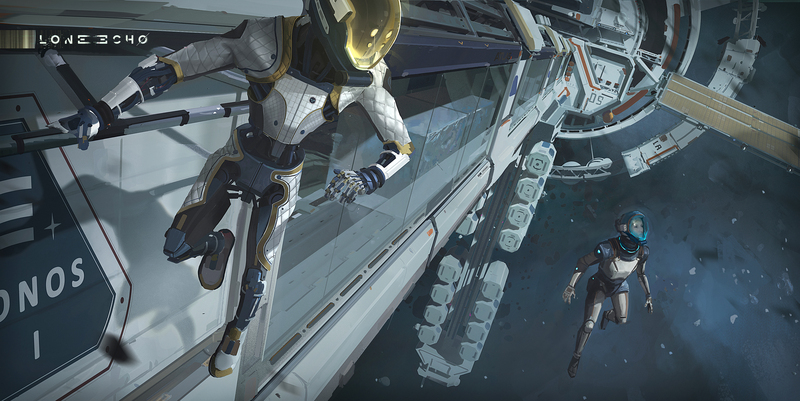 Lone Echo’s score sounds like a troubled dream — beautiful yet uneasy. It mirrors the stunning visuals and the story’s implication that things can go tragically wrong very quickly. As a player in this virtual reality environment, you can see your character’s full body. You have to jump across open space and grab onto handles to keep from floating away. It’s easy to lose yourself in the game. “The guys were going for a really immersive experience. Not only are you in VR but you are also in this android body. We didn’t want the music to be this grandiose wallpaper in the background. The soundtrack is intentionally sparse and subtle. We like having the music as a relief in and of itself from the tension of the silence of space, as opposed to being music just playing all the time in the background, guiding the emotions. We didn’t want the music to pull the player in any one direction or the other. We were going for subtle and sparse. When you listen to the soundtrack, it sounds that way on purpose,” concludes Graves.